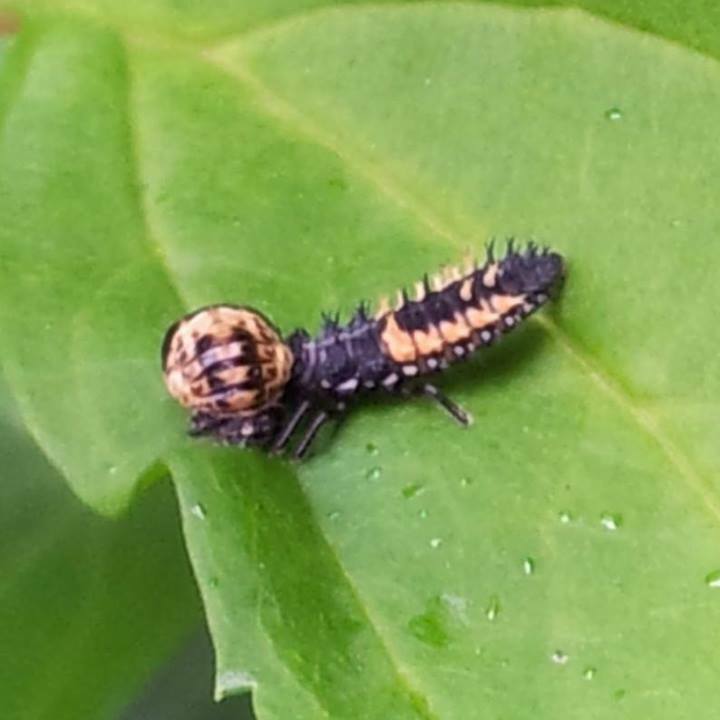 We had this year's first sighting of ladybird larvae yesterday morning as we were preparing to head out to Astley Castle with a picnic. The forsythia next to our front door was quite literally crawling with them in varying sizes and stages of development. M was very excited, declaring them caterpillars... Which had us explaining they were indeed similar but were baby ladybirds not baby butterflies. M wasn't to be deterred though and insisted they were caterpillars. M likes caterpillars. You are looking at a photo of one very large larva, actively engaged in eating one of its fellows that had started to pupate and was therefore defenceless. Lovely. We're very tempted to move a few of them round the back where they might find more aphids to chomp on!